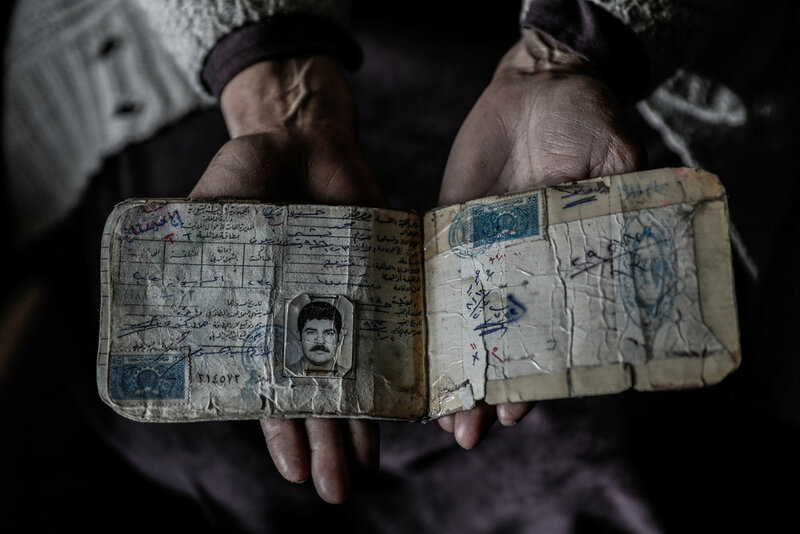 Another Face of War is a project that focuses on the civilians who stuck in the middle of the war and impacted by it. It also illustrates their struggling process in order to overcome those tough circumstances. 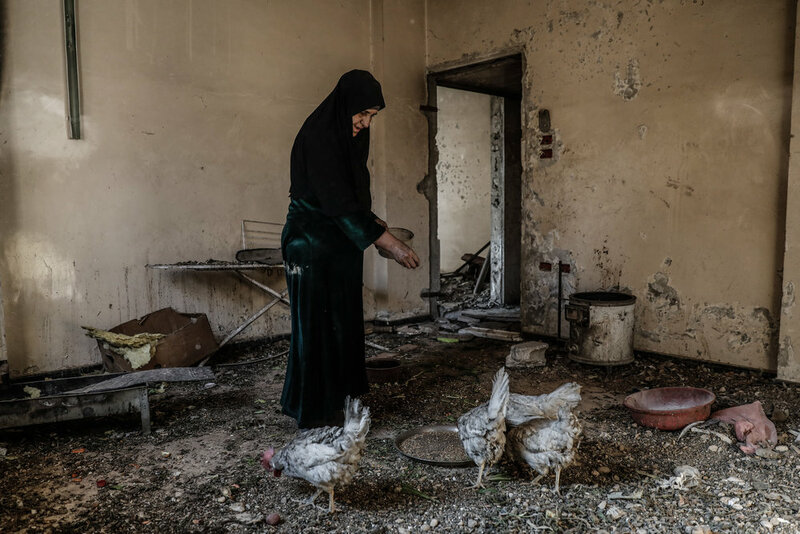 Umm Mohammed, and her husband drink coffee at their destroyed home. Umm Mohammed, performs rehabilitation exercises with her war injured husband at their home. 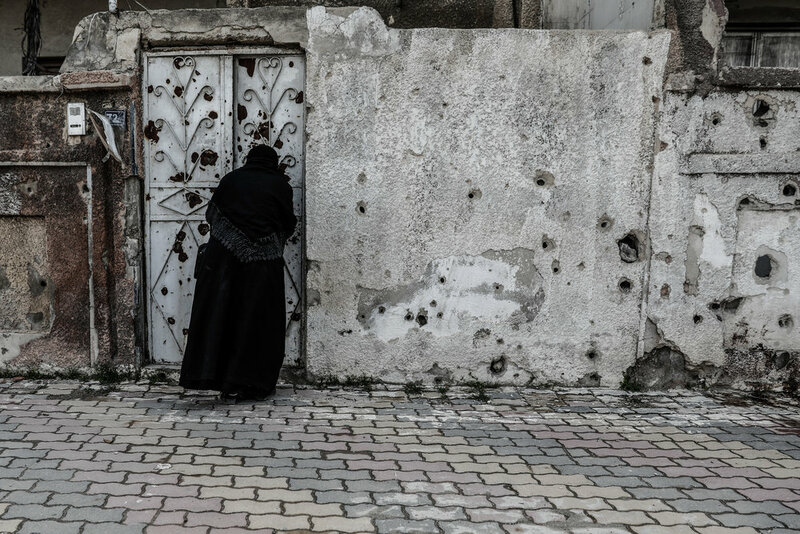 Umm Mohammed, holds a family ID at her home. Umm Mohammed, performs rehabilitation exercises with her war injured husband. Abu Mohammed, watches smoke billowing from his home following a government air strike. Umm Mohammed, feeds her chickens at her home. Mustafa 9 years old, the grandson of Um Mohammed holds a chicken. Umm Mohammed (2-R), attends a literacy class. Umm Mohammed, arrives at a literacy school. Umm Mohammed, washes laundry at her destroyed home.